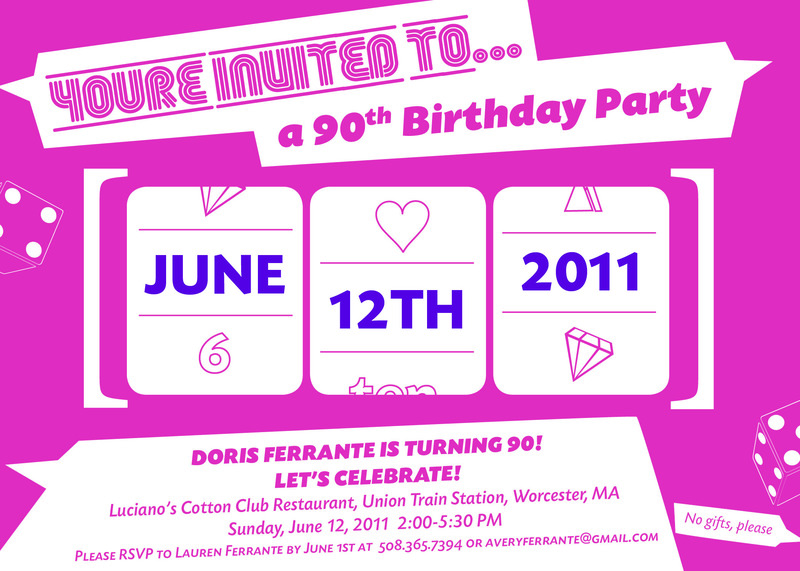 Doris is turning 90 this summer so we’re going to have a big birthday party for her. I was put in charge of creating the invites. Ellen wants to go with a casino theme because Doris loooovvveeesss the casino. I scowered the internet for a tasteful party invite that involved a casino theme and would be appropriate for a woman’s 90th birthday party. Not surprisingly, it was impossible. I had an idea of what I wanted the invite to look like so I sent that info over to the talented Ms. Victoria Masters (who needs to get her website up and running soon!) and she came up with this (the colors are slightly different – Worpress is doing something to this version). Perfection . . . not that I’m surprised. 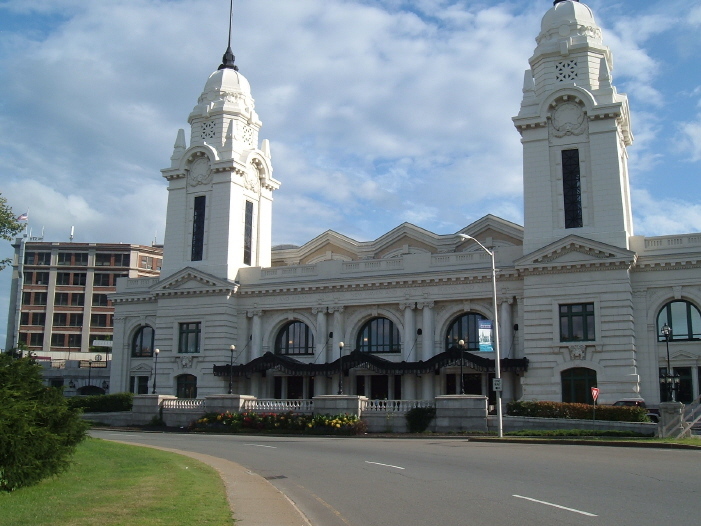 The party, as you can see, will be at Lucianos, which is in the beautiful Worcester train station.